Proving that Carnival employees will do just about anything for a good cause, Vice President of Sales – Eastern Region Kirk Neal and Business Development Director for Delaware, Maryland, Washington DC and Northern Virginia Kathy Donnelly were among the thousands of individuals who braved the icy waters of Chesapeake Bay as part of the Polar Bear Plunge benefiting Maryland Special Olympics. 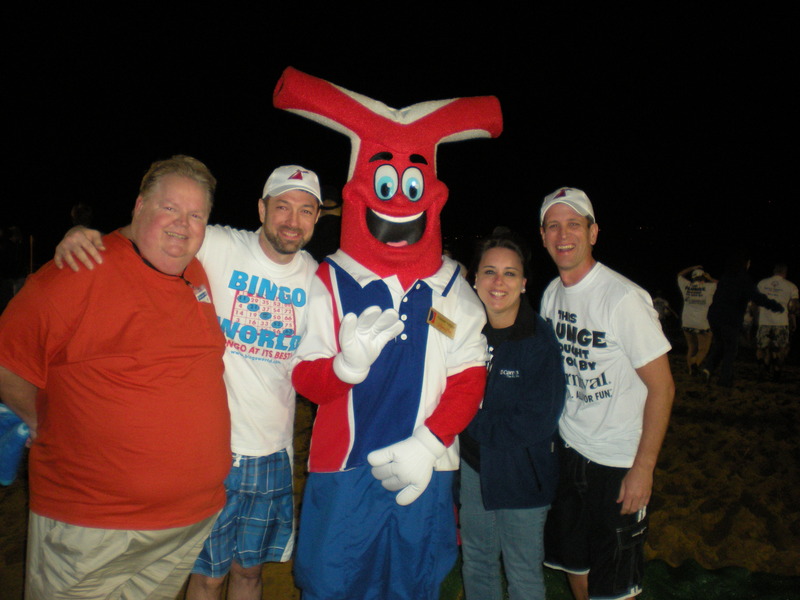 Dozens of travel agent partners, along with their friends and family members and the line’s mascot “Fun Ship” Freddy, participated, as well. Carnival was also a sponsor of the annual event, which collects donations from various individuals, groups and organizations pledging to “take the plunge.” Participants ventured into the chilly waters at different intervals over the course of several hours, raising thousands of dollars for Special Olympics’ athletic programs for special needs children.